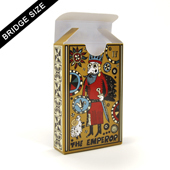 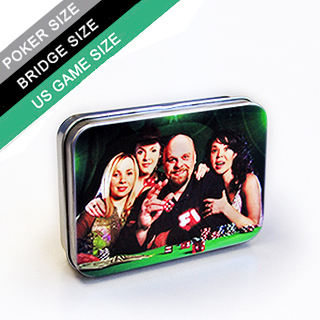 Protect your playing cards with our high quality custom tin box for poker and bridge sized playing card decks. 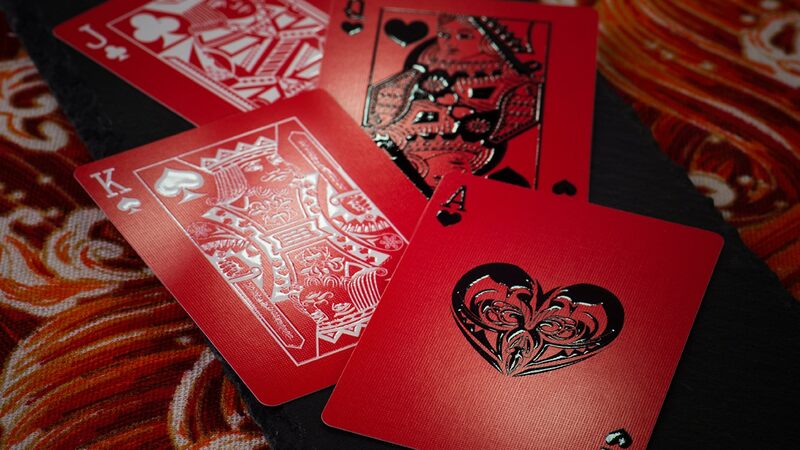 Upload your own image or photo file onto lid to to complete your card game. 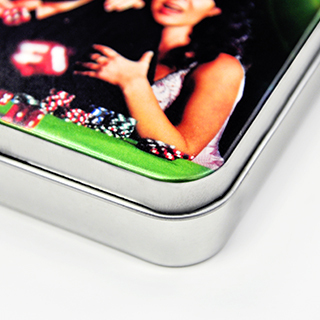 Our custom printed tin box fits up to 62 cards (depending on thickness of cardstock). Printed using LED UV printing technology and with no minimum order quantity required. Sturdy built with top quality construction. Comes with container and lid.